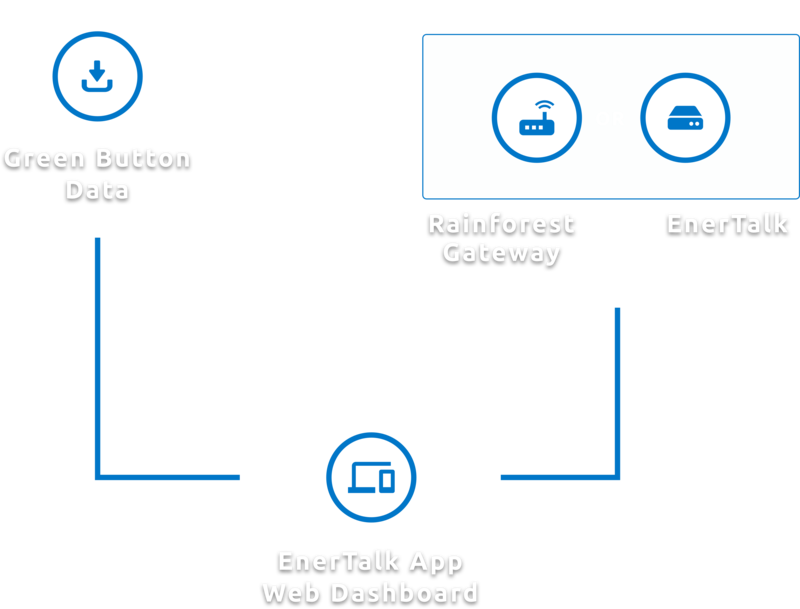 Optimize your energy operation with EnerTalk. When you open your EnerTalk app, you land on the Dashboard, which shows your current and past energy usage. Your energy usage is displayed in watts and you also can view your estimated costs by tapping on the screen. With EnerTalk, you can discover your energy usage patterns, baseload, and peak usage. EnerTalk helps you learn about your energy lifestyle and can help you take control of your energy use. The Energy Clock shows you an overview of your daily and hourly usages. It helps gives you a sense of when you are saving and how your usage performs over time. With our real-time energy monitoring device and disaggregation technology, you can find out which appliance is using the most energy. Your data comes from your utility company. EnerTalk collects your daily energy usage data from your utility company via Green Button Data, a standard and secure form of energy data. We analyze and deliver your energy usage data to your phone as soon as your utility company releases the data. We are a group of energy experts, mathematicians, statisticians, psychologists, and computer scientists on a mission to provide a meaningful contribution to society by making electricity a happy resource of life. Believing in collective intelligence, we grow together with customers and developers.